After we were so spoiled with wonderful spring weather last month, I realized that I had to look in my closet for clothes that I need for spring. Need! As if I don’t have much in my closet. But I’ve been buying much more conscious clothes for a while now. Much more second-hand and I just better think about what I buy. So instead of just buying what I like, I really wanted to see what’s been missing in my wardrobe. This post was written by myself but I was approached by JD Williams to write something for them. What I wanted to write, I could decide for myself. Well, of course, I think it’s totally great to work with an English company! What spring clothes do I need? 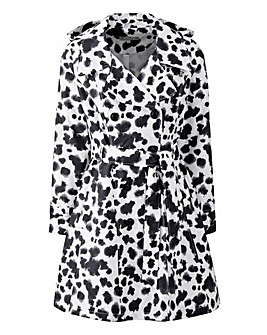 The first thing I need, in quotation marks, is a trench coat. Previously I wanted to save for a Burberry trench coat but then I really wanted the original and that color is simply not for me. So you then you have a very expensive coat, and the color looks awful on you! That’s stupid right. 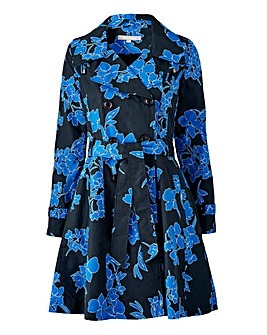 So searching for a nice trench coat. 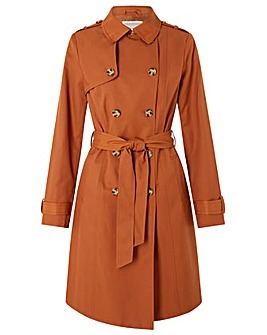 Classic trench as I like them! Wow, really like this one. Of course some spring shoes are needed! Then slingbacks. Totally trendy coming season. The slingback always has something movie stars like, super feminine. 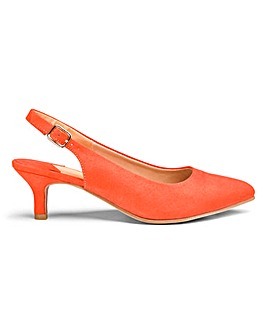 So I want a pair of slingbacks this spring. Jackets and cardigans I actually have enough but colored tees and pullovers not so much. So that’s what I went looking for. 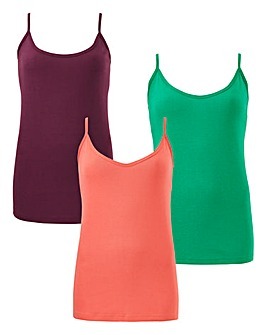 basics in colors! Must have. This one would look good on my grey suit. 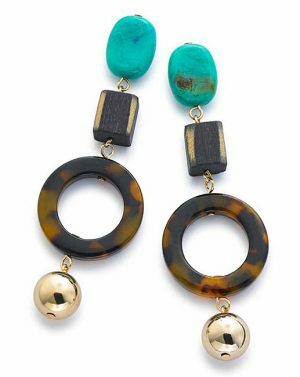 Statement earrings always keep pulling on me. Well I have a lot, but most gold colored. 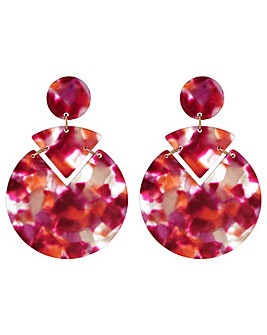 I would like to include a few statement colored earrings. And finally I want a jumpsuit. I had one but it got ugly. 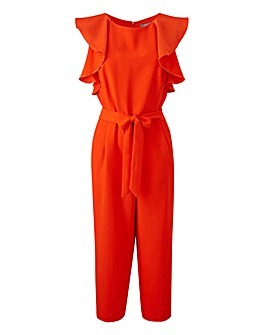 Never thought that I would like a jumpsuit to wear. And never thought that I would find them so beautiful. I think orange is my color this season! 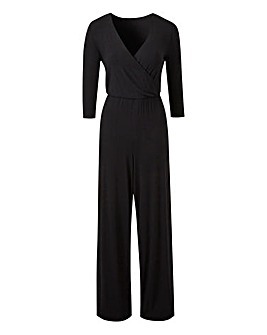 Basic black jumpsuit, always good. I told you, orange has got me! But I love this one! What do you think of my wish list? Have you got items that you really want? Are you going to by spring clothes new or pre owned? I’d love to see you in that orange jumpsuit! I really like all the slingback shoes and that pink graphic tee is my color! It will probably be a black one, although that orange one is a stunner! Ah slingbacks are so beautiful right! Thanks for the inspiration to write a wish list for spring! Thank you very much Angie. I agree on the trench coat. I have always loved them but in spring and summer I actually don’t even wear a coat. 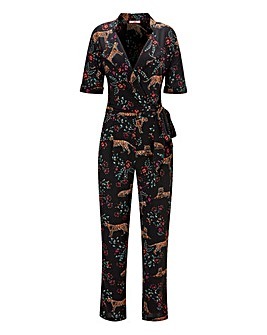 And a jumpsuit is one item I really want and will wear. 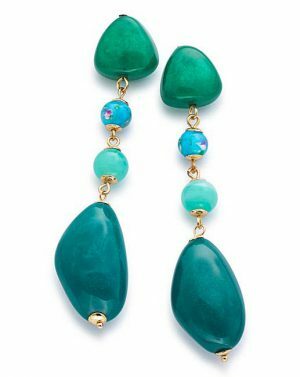 Also the colorful earrings, because I think they make a huge different in your face if you have the perfect color! 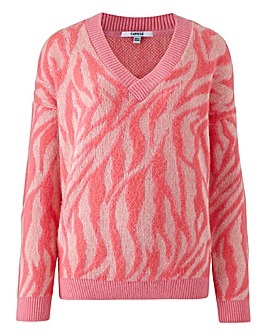 Yes and it is perfect with pink and red too! I especially like the beige trend. But I have to figure out how I can wear it to the best as it is not a good color for me. I already spotted some silk midi skirts that I love! You are so right. And I won’t probably buy a trench coat because or it is to cold for one, or to warm! Hahaha. Such a great selection! Have a lovely week. Thanks Gemma, have a nice week! Nice picks Nancy, the sling backs are so pretty! My feet don’t really get on with sling backs for some reason. I haven’t thought much about spring yet – need to! As soon as the sun will begin to shine you will! I’m always a sucker for spring shoes…sandals. Give me more sandals!! What a great post Nancy. I agree we always need jackets and cardigans as layering pieces. I love the selection of sandals that you chose. I am going to do mostly secondhand shopping and very little shopping in general. I seem to have pretty much everything I need in my closet already. But I do love this source of inspiration. Thanks Elle, yes I know that about Burberry, but I love the classic one in the classic color the most! I think your list looks very fun…and like YOU! Fun and bright and colorful! Haha, me colorful! That”s a first! Thanks Bettye! Helemaal in luf met die slingbacks! Ja mooi zijn die he! Ik vind ze haast nooit lekker zitten….maar mooi zijn ze wel! 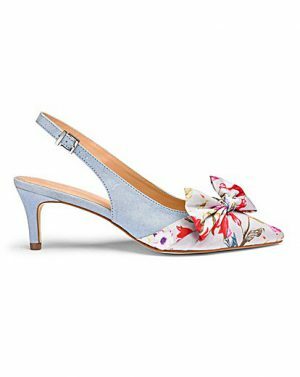 I’m loving all of those spring slingbacks! So pretty! You’ve chosen some fun bright pieces. Honestly, if I never bought another thing in my life I’d still have too much. Since I thrift regularly for my store I stumble upon things all the time. I just picked up a few jumpsuits. One still has the tags on it. I haven’t decided if I will sell them all yet or not. Ha ha, you want to keep them all? I have to sell, or give away, first before I buy. Not enough space anymore! In love with those trenches and I never get sick of statement earrings. Great picks Nancy! Huh, apparently I ‘need’ everything you need!! 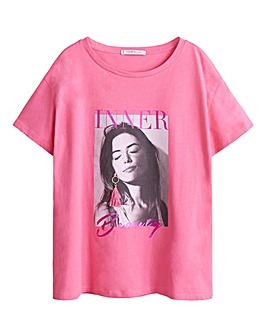 I like the way you use graphic tees with dressier pieces. I copied that idea by pairing a graphic tee with a tulle skirt. A la Nancy!! Those shoes, those shoes!! 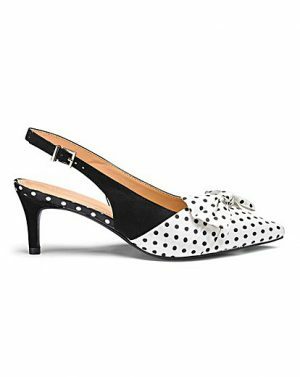 Polka dots and kitten heels. Come to mama! Hahaha, no no these shoes are walking my direction dear! Haha. Yes, a tulle skirt with a graphic tee is a perfect combination! Such a great wish list, I want so many of those pieces! I’m loving that orange jumpsuit! That is a beautiful one isn’t it! Thanks love, enjoy your weekend! Good wish list, Nancy. I’ve already purchased several things. I haven’t been thrifting much, yet, though. My daughter and I went last week, but she wasn’t feeling too well. I hope your daughter is feeling well again! I havn’d shopped for , what looks like, ages! I hope to do some this week! These are all such fun ideas for spring wardrobe selections! Can’t go wrong with any of these, especially that classic trench coat. So versatile, classy, and never goes out of style. You are so right. Thanks Jessica! I love your picks here, Nancy! I shop “off season” all year round, and stash my spring/summer purchases in my closet until it’s time to change over my clothes for the season…which will be happening this weekend! Exciting, as I’ve forgotten most of what I’ve bought, ha ha! Haha, it sounds more like a shopping weekend for you then! The orange jumpsuit looks so good! Thank you for sharing your list with My Red carpet. Fabulous is that one isn’t it!